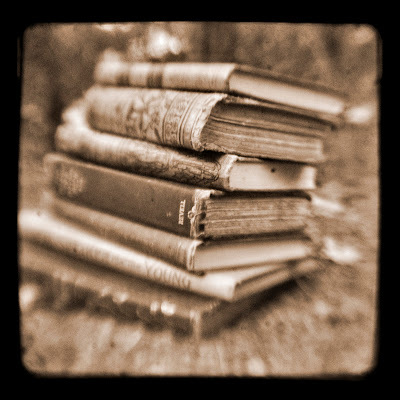 Books, Books, and More Books - Jill Ruth & Co.
One of my ttv (through the viewfinder) photographs from my jillruthandco Etsy shop is featured this morning on this blog with some other really great book items. I think it will be fun to explore the site. We have shelves and shelves and stacks of books here and it's hard for me to walk away from them at sales. I'm not sure what I love the most: new books, old books, or kids books. Paging through an old book though is really something special. The last garage sale I went to on the junk jaunt had a LOT of old books for 15 cents a book. I only bought one sack full because my pick up was packed. It was hard to leave the rest behind. I couldn't even tell you right now what the books were but the covers were awesome and the history was palpable. I need to go dig for that sack right now! Hi Jill, I feel the same way about books. I used to love going to the old corner bookstores with my mom in the sixties. Yep, I'm old. I feel so bad that these are almost extint now. I love finding old books at yard sales and bringing them home to live with me. I got a few old books at a rummage sale today. Love, love love books!! Great picture too!